This has been my staple eyeliner gel for years. 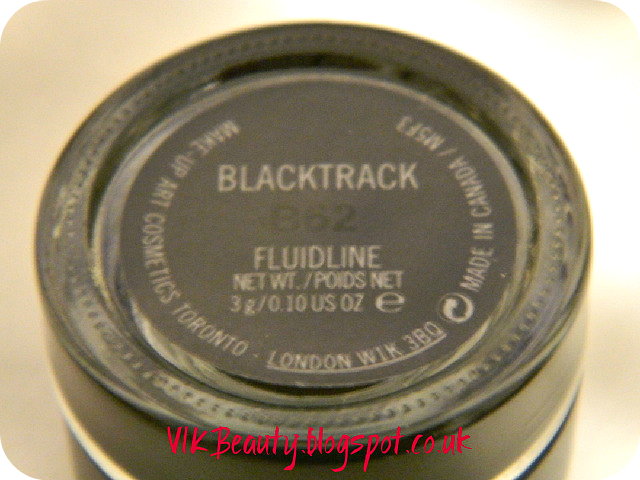 MAC Cosmetics Fluidline in Blacktrack is an ultra smooth gel which is described as providing the "precision of a liquid liner with a silkier, softer finish". 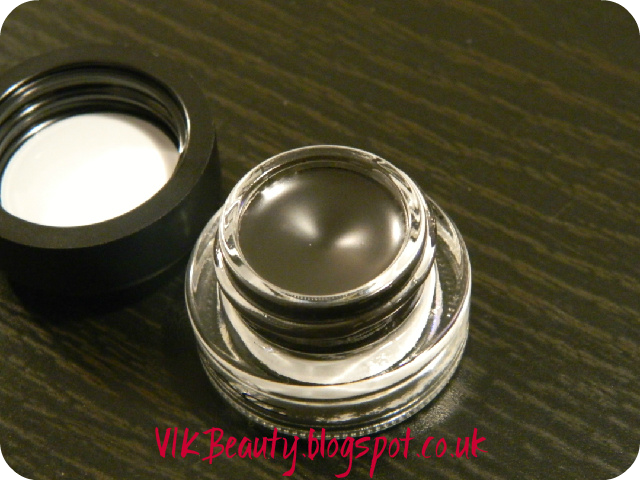 If you are after a rich, creamy eyeliner gel, I would suggest trying this out. I have found that it has good staying power and is extremely smudge proof. I prefer eyeliner gels rather than pens as I find that you can create the shape you want more easily using a gel and an eyeliner brush. 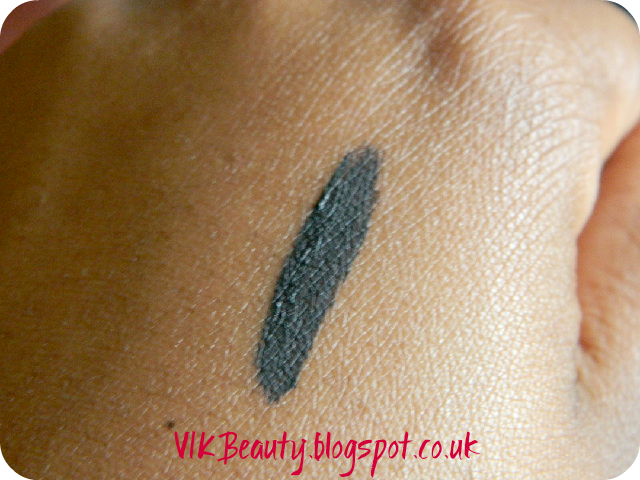 When you apply the eyeliner, it really glides on beautifully, really smooth. It also has a nice matte finish once it has been applied. My only real issue with this gel eyeliner is that it is great for a few months but then the sad day arrives when you try to apply the gel and it flakes off as it has almost dried out. This is inevitable because of the air exposure each time it is used. A way in which you can extend the life would be to scoop out a little amount and put it into one of those sample pots and just use that until you need to go back to the main pot. 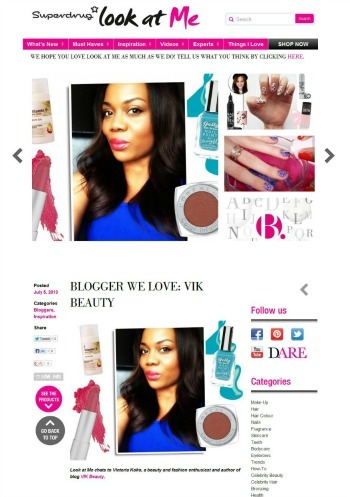 This eyeliner retails at £14 for 3g. 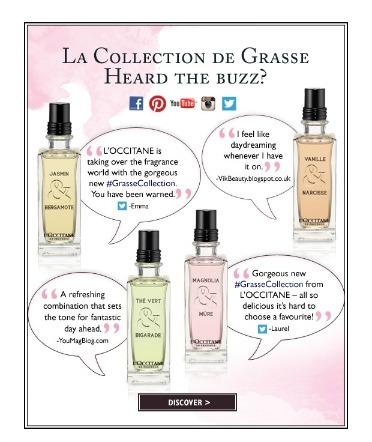 I think this is a good price as mine ususally lasts for about 3 months or so. I guess it just depends how often you use an eyeliner. I use it daily. 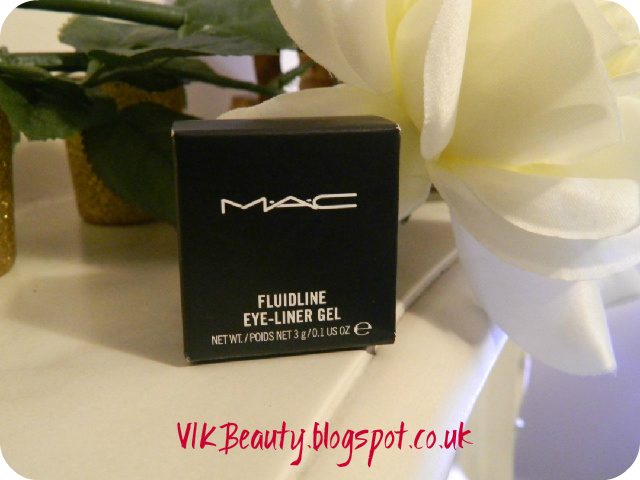 There are a range of shades for the Fluidline gel eyeliners, click here. 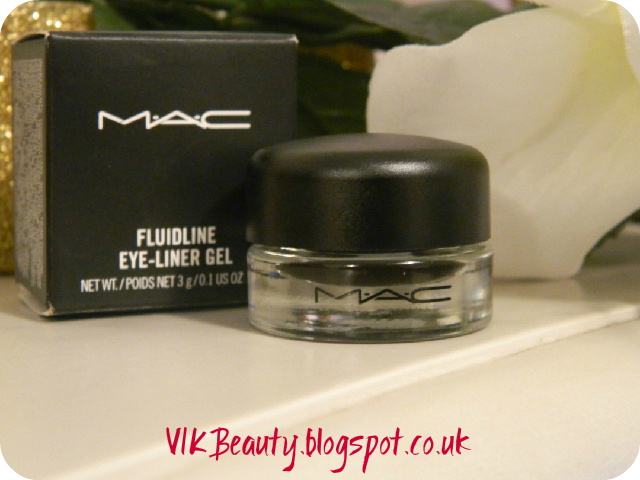 Have you tried MAC Fluidline gel eyeliners? I love Blacktrack, it applies so smooth.